Proffitt Garage Door only uses the best garage door brands in the industry. Combined with our attention to detail and experience in garage door installation, you will receive only the best workmanship and customer service available. We offer a complete line of high quality garage doors in all types of styles including traditional raised panel doors, flush panel doors, raised ranch doors, grooved panel doors, and wood overlay doors. 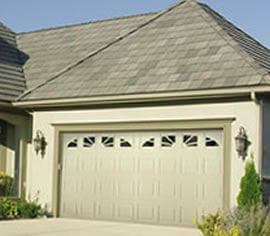 Garage doors come in many colors, and can be insulated or non insulated. To customize the garage door to your home, they can also have window inserts to create the look you want. Give Jason Proffitt a call at 574-266-7978 to discuss your residential garage door needs or questions. WE OFFER A 100% GUARANTEE ON ALL OUR WORK! DoorLink Manufacturing, Inc.® Garage Doors are built to withstand the elements while making your home look great! 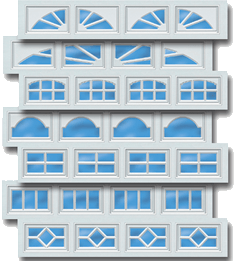 There are 7 different models ranging from open back to double skinned and insulated versions. DoorLink Manufacturing, Inc.® Garage Doors have many options for window inserts to choose from, please click on the model you are interested in to see the options of these windows. DoorLink Manufacturing, Inc.® offers a complete line of commercial steel overhead door products with a combination of designs and features second to none. Proffitt Overhead Door is a local area contractor with years of experience in installation, service and repairs of overhead doors. We are here for your business.